Perfect for hiking or when packing space is tight. 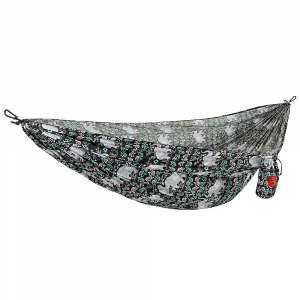 Nearly as large as a queen-size bed, the Byer® Parachute Traveller Hammock weighs just 11 ounces. Perfect for hiking or when packing space is tight. Made of extremely strong and durable parachute nylon. Fits into a bag measuring 8 by 4 inches. Weight limit of 240 lb. Flat size: 54 x 84 inches. 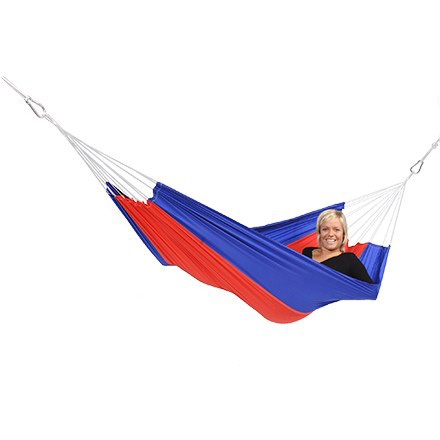 Hammock only; hanging gear required. 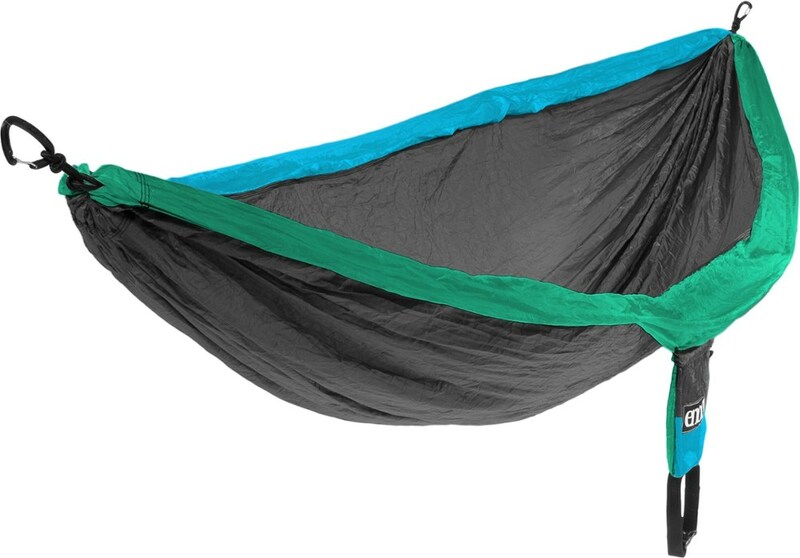 Great for packing when space is tight, the Parachute Traveller Hammock is about as large as a queen-size bed, yet weighs less than 12 ounces. 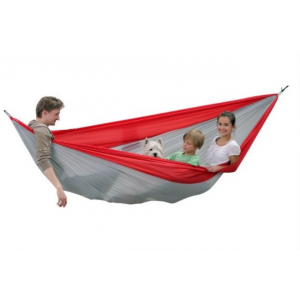 Lightweight hammock is made of extremely strong and durable parachute nylon and supports 250 pounds. 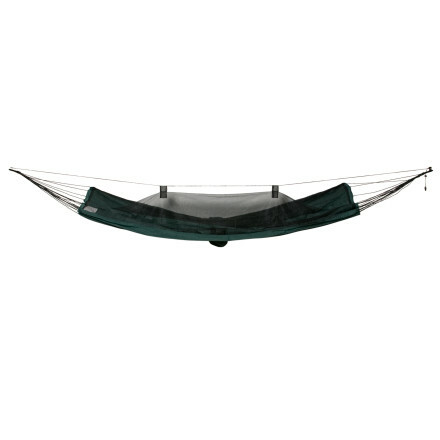 Brazilian-style hammock means it hangs loosely and deep in the center, for a more diagonal (but super comfortable) sleeping posture. 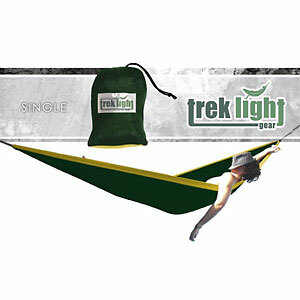 Hammock includes an attached stuff sack measuring 7.25 x 6 x 1.75 inches. 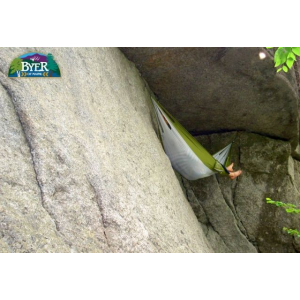 The Byer Parachute Traveller is not available from the stores we monitor. It was last seen August 20, 2010	at EMS.